Even the smallest artillery can have a big impact on the battlefield (no pun intended). That extra bit of firepower can turn the tide of a fight, and the Germans certainly had various artillery pieces at their disposal during WWII. One of them was the 75mm light infantry gun. This was a short-barreled howitzer that was small and light enough that the crews could easily re-position and re-aim it as required. 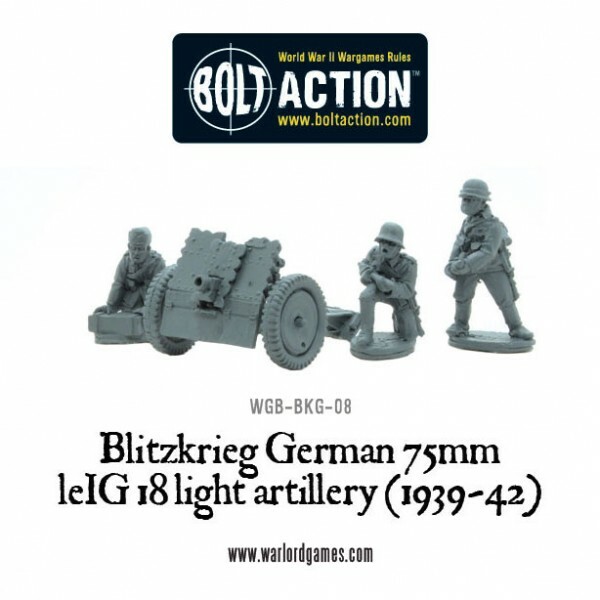 Now you can add this bit of fighting firepower to your Bolt Action lists. You can find the rules in the Armies of Germany supplement.